I know that sometimes the celebration of Valentine's Day can get all wrapped in loving someone else, showing your "beloved" with gifts, & sending your sentiments out into the universe. But I hope you all remember to love your SELF this day (& every other day too!) 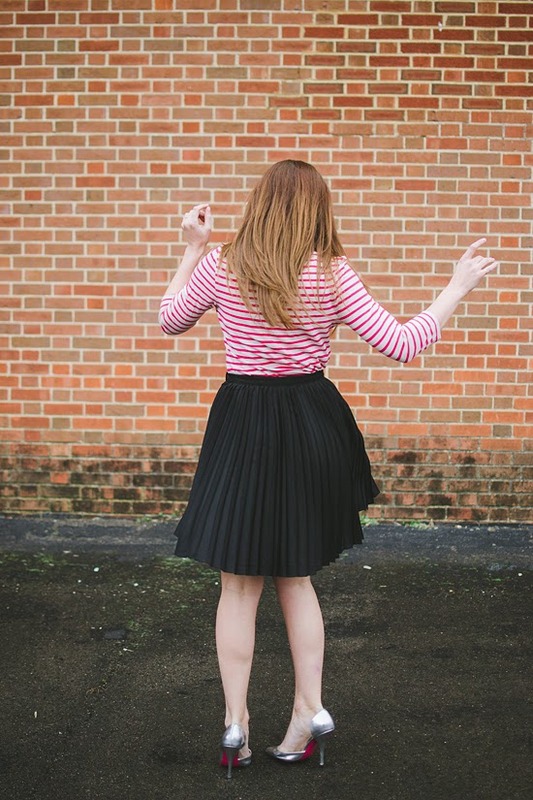 - maybe a little treat-yo-self-twirling is in order!? In the off chance you are looking for a last minute V-day activity, all of your comments for your own plans on this post were SO GOOD! Don't forget to enter the Sephora giveaway, it ends TONIGHT! P.S. 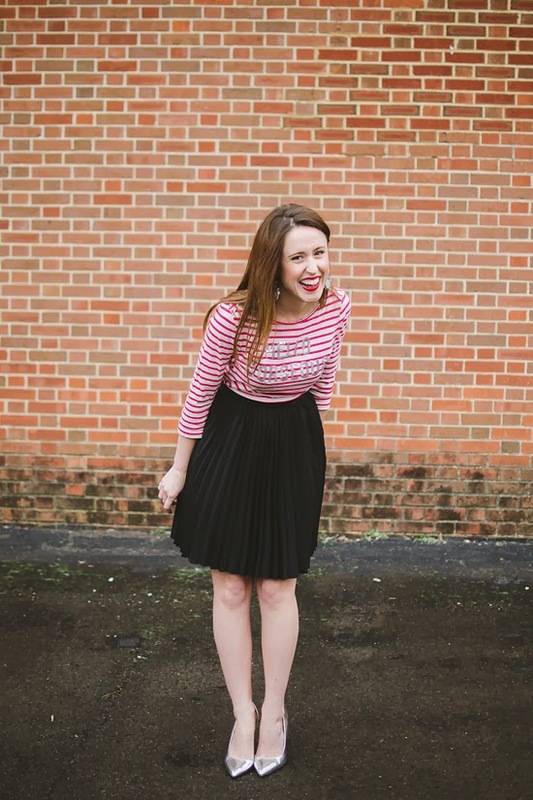 Linking up with Kate & Holly for the Thursday Takeover, theme "Red Hot"
This outfit is adorable! And I think you're right. We do need to remember to love ourselves. you're the most photogenic always. so glad someone is writing about self-love during this season! those earrings are to. die. for. I adore this outfit! 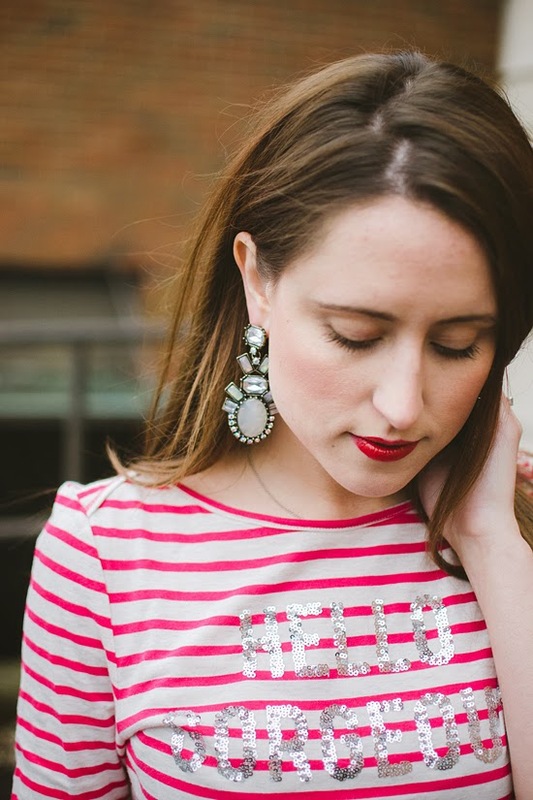 It has such a fun and feminine vibe! 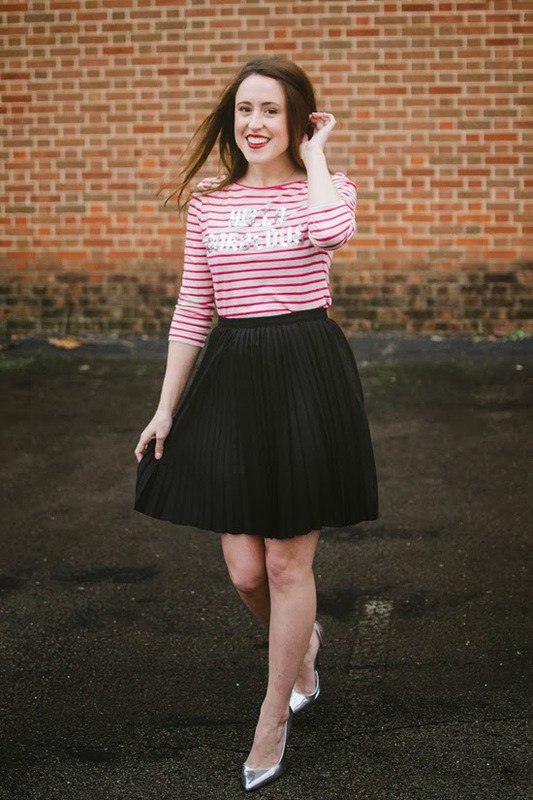 Such a cute tee...and I love that pleated skirt! You definitely have to have self love! Love this & your look! This outfit! Perfection. You've been seriously nailing it this week! Great V-Day message...and outfit! Twirling is definitely in order. So simple and cute! I neeeeed that skirt! Super cute combo, I love your tee!! I freakin love this outfit, the photos are adorable as are youuuu! This skirt is beautiful but this look is head-to-toe perfection! Oh my goodness - I need that tee! Happy Valentines day! this look is perfection! 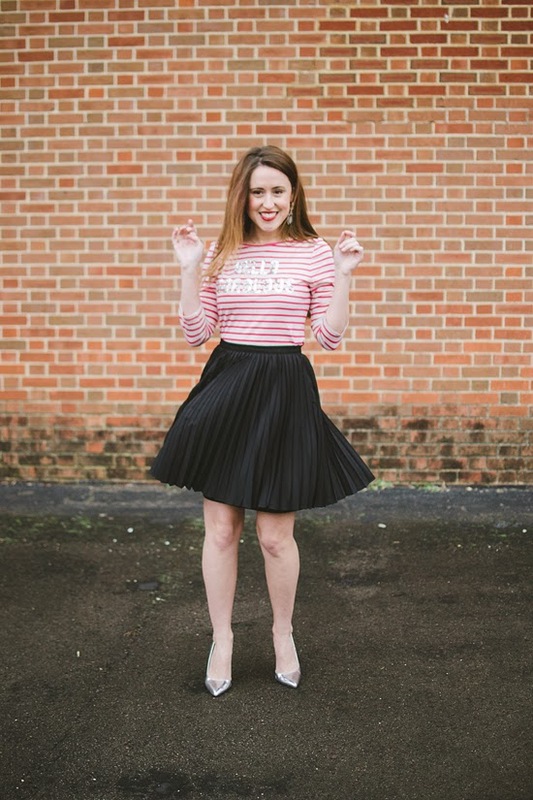 I will always love a great graphic tee with a pleated skirt. super cute!! I hope you had a lovely Valentine's Day! !